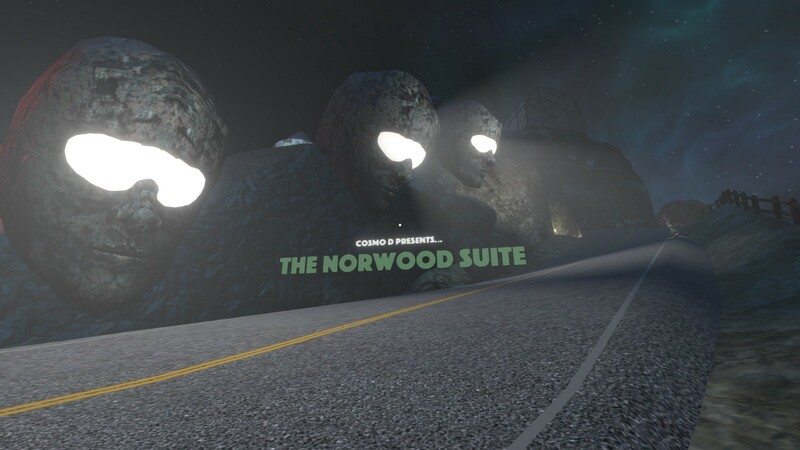 The Norwood Suite is an experiment in absurdity. It could easily be compared to games like Gravity Bone, Thirty Flights of Loving, and Jazzpunk, although it does one thing in particular better than those, and that is the soundtrack. To give you an example, I decided to open The Norwood Suite for the second time to jog my memory before writing this piece and of course, I was greeted with the usual painfully necessary branding you will have come to expect in the splash screens for video games… but I hardly noticed it, just like on my first time playing! That’s because there is a haunting, positively riveting, and utterly sublime (violin?) melody that rings out into your ears and commands your attention… and I really mean that because this game is incredibly freakin’ loud on start-up if you forget to adjust your volume slider in Windows beforehand. The music in this game is really something special, and it was entirely composed by the developer, Cosmo D. To give you a succinct summary of my thoughts and why I think you should play it, I will put it as such: much to my chagrin, the more I think about my time in the enigmatic Hotel Norwood the more I have absolutely no idea what the hell is happening in that gosh-darn hotel! The road leading up the hill towards The Hotel Norwood. 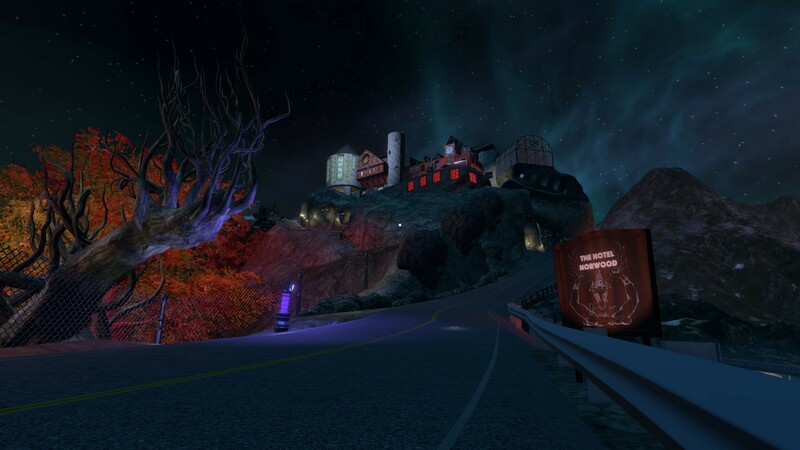 To start the game, you’re plopped down on a road leading up the hill towards the hotel. The first thing you’ll notice is the Hogwarts-esque hotel perched upon a mountain. The whole frame is so surreal that you’ll be intrigued and enveloped instantly. It has this air of mystery and elusiveness, amplified by the fact that you’ll probably find the art style, especially for the characters, incredibly creepy. Indeed, that is part of The Norwood Suite’s charm. You will progress into the hotel and meet a host of eccentric characters with weird and nonsensical backgrounds or even just a plain wacky motive for being at the hotel. One guy said that he did not even officially work there, he had been mistaken for an employee a while ago and decided to improvise and play along. He has been at it ever since! Another interesting aspect of the game is the Modulo employees who are sprinkled throughout the hotel. Modulo appears to be a sort of data-analysis company? Regardless, it becomes apparent if you eavesdrop on one of their conversations that Modulo are being quite “underhanded” in their doings at the Hotel Norwood. Anyway, I’m not going to recount the rest of my experience or what I think about the mysterious Peter Norwood. I’m going to try and make sense of the game and perhaps even why Cosmo D chose to do what he did. 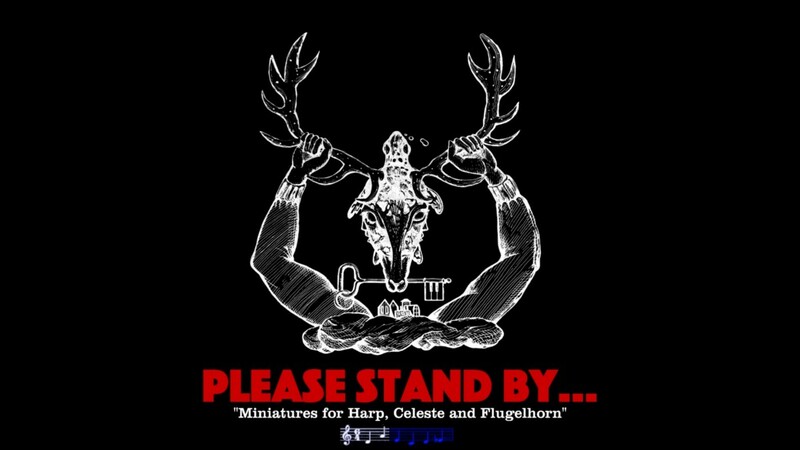 The loading screen. It is here that you’re greeted with that haunting violin melody. I would describe the soundtrack as an unusual take on electronic Jazz, and I really liked it. I have always thought of Jazz music as based on improvisation, and if you’ve seen many experimental Jazz bands live you’ll know that it is quite common for them to base their whole set on improvisation and just play off each other. It is an incredible thing to experience and I highly recommend it. This notion of improvisation is also where I think a lot of the game’s soul is rooted. Hell, I just mentioned a guy who improvised his way into getting a job at The Hotel Norwood! One might describe jazz, or even all music, like this: a mass of obtruding simple melodies colluding to create a symphony. Apply this idea to The Norwood Suite and all its guests and employees, is it possible that the Hotel Norwood is Cosmo D’s attempt to define his experience with jazz as a seasoned musician and to a greater extent, art? Perhaps the Modulo employees are a representation of what Cosmo D fears about the future of music and art: could it be that the future will lead to full-on commercialism with clothing brand plugs and the exploitation of the artist? This is only my speculation, and I certainly wouldn’t disagree with you if you decided to assert that this is quite a bit to extrapolate using only the decision to create the soundtrack under the genre of Jazz. Nonetheless, I believe Cosmo D definitely had something to say about the philosophy of art with this game. And of course, you’re going to need to play the game to fully understand what I mean.